SKU: 008259. Category: Crucible Base Blocks. 16 in. x 4 in. 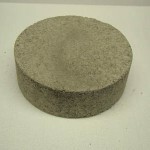 Silicon Carbide Base Block – for MIFCO model DO-1000 furnace.